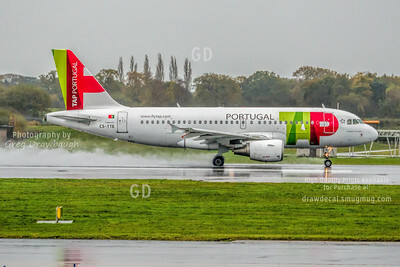 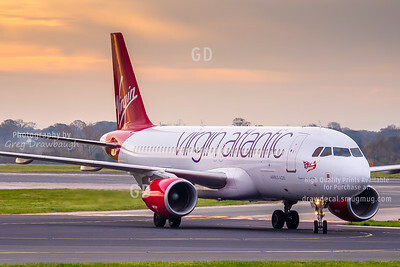 Operated by Aer Lingus, Virgin Atlantic "Little Red" A320 EI-DEO arrives in Manchester on a COLD November morning. 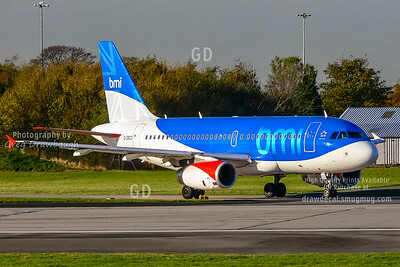 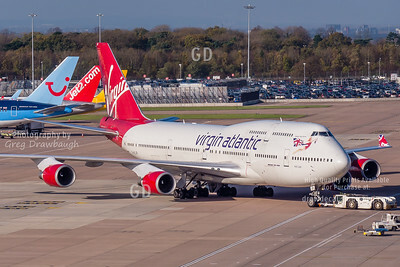 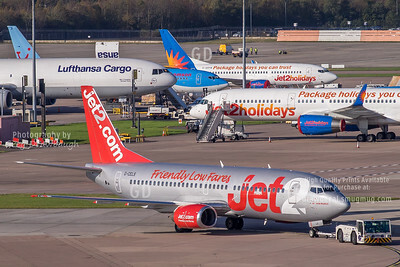 Charter row at Manchester with Jet2 737-300 G-CELS being tugged to the gate. 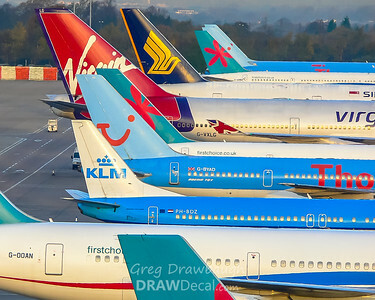 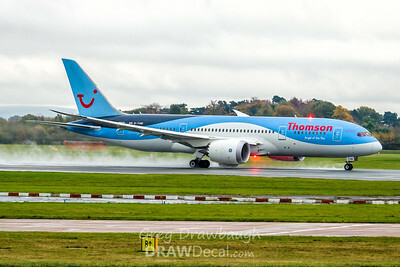 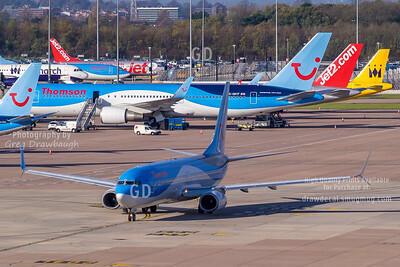 In a classic scene from Manchester, Thomson scimitar wingleted 737-800 G-FDZS taxis by tails of Thomson, Jet2 and Monarch. 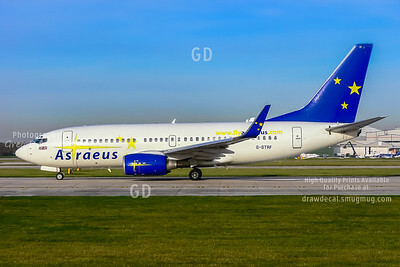 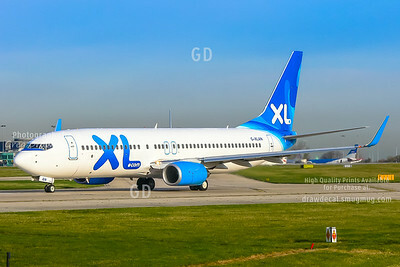 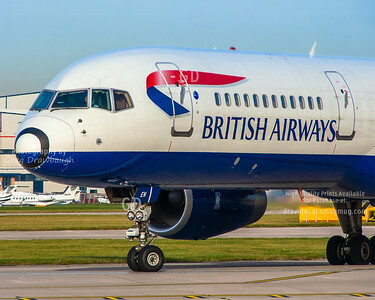 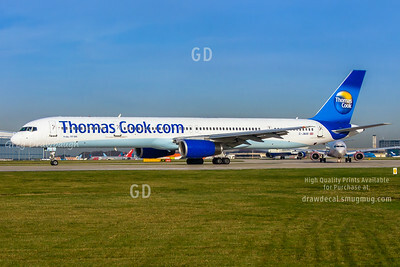 From 2007 at Manchester, Thomas Cook "Super Pipe" 757-300 G-JMAB makes an early morning departure.